Please Note: This item is custom made upon order, therefore requires additional handling time, which is reflected in the estimate above. 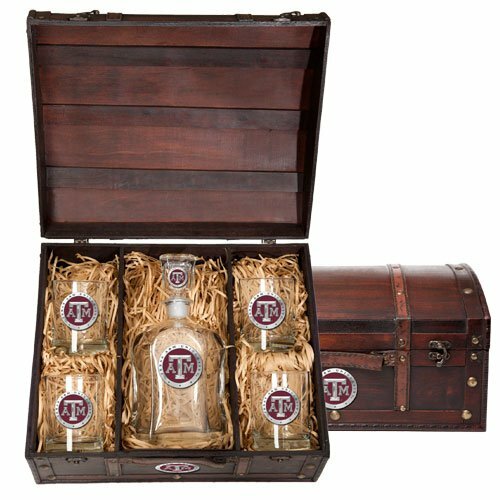 This chest boxed set contains one 24 ounce glass decanter and four (14 ounce) double old fashioned glasses. Each is embellished with a fine pewter casting. If you have any questions about this product by Heritage Pewter, contact us by completing and submitting the form below. If you are looking for a specif part number, please include it with your message.